View and download Madix catalogs and literature. 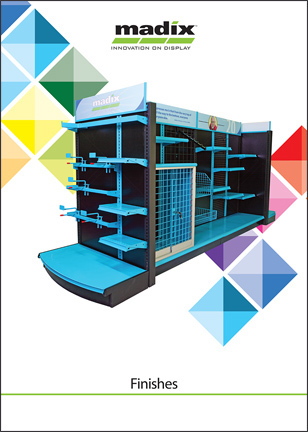 View and download 2D and 3D models for store planning. View and download assembly instructions for fixture installation. View finish samples and download the brochure. The Six Biggest Mistakes Retailers Make Deploying "Buy Online, Pick Up in Store"
Madix has converted its entire product catalog that utilizes floor space to Autodesk Revit® and AutoCAD® profiles, and it has made them available online for our customers and designers. Having Madix's display and storage products in these formats will greatly benefit store planning executives who utilize Revit® and AutoCAD® and the designers who plan fixture layouts. We want to empower our customers to improve store planning and help them visualize how fixtures will look in future projects. Designers can manipulate and reposition Madix fixtures in 3D space by downloading Revit® and AutoCAD® files from our webpage and then open it using Autodesk® software. Begin your store planning experience with Madix now. © 2019 Madix, Inc. All rights reserved.